The new release adds new sorting draw method for series and Angular plugin support example. See the product release notes for a deeper look. The new installer is now available for download from Steema's Customer Download pages. 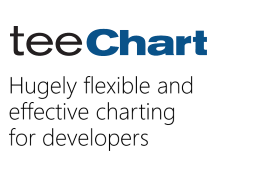 Follow this link to access the teeChart evaluation version and see helpful examples .